The Sundance Film Festival is a program of the Sundance Institute. It takes place in Park City, Utah once a year. 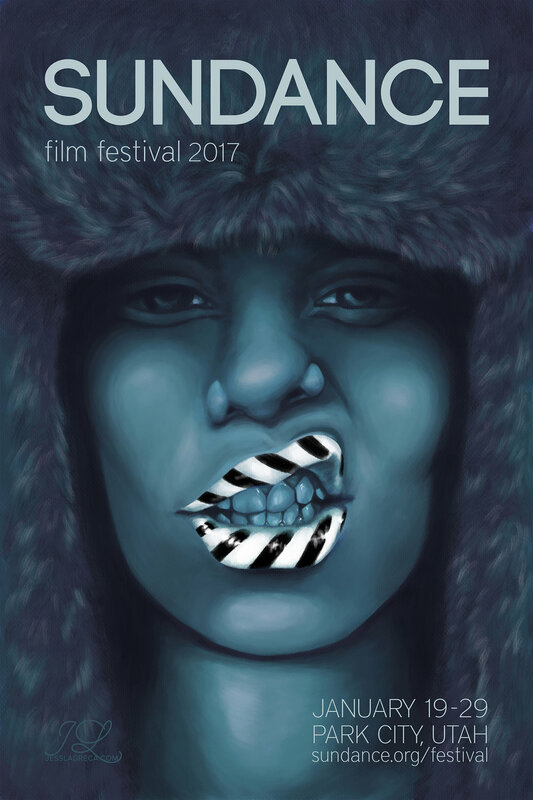 This poster design is a non-commissioned promotional illustration for the 2017 event. Short Magazine later commissioned Jess's Sundance for use as the cover of its second issue. It was published in December 2016. The illustration appeared in the 2017 edition of SCAD Illustrious, a catalog that showcases selected student work from the illustration department at the Savannah College of Art and Design. Sundance is a winning illustration in the 3x3, The Magazine of Contemporary Illustration 2017 competition. It received "Honorable Mention" in the magazine's fourteenth annual. The illustration is a winning piece in the Applied Arts 2017 student competition.